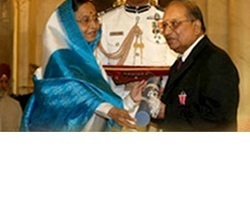 J. R. Krishnamoorthy was awarded a Padma Shri in 2010 for his contribution in the field of medicine. His lifetime contributions to society as a medical practitioner has been in rural India. He has been practicing in Kunrathur, 30 km off Chennai, since the early 1950s and still does so at the age of 81. 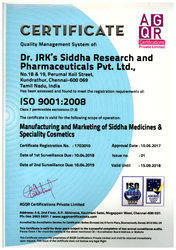 Krishnamoorthy has motivated scientific spirit in the Siddha system of medicine for giving it a global recognition. 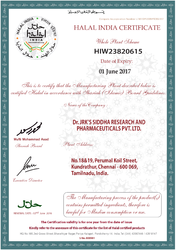 This was achieved through publishing several scientific papers, evolving clinically effective formulations and steering committees set up by the Government of India, Ministry of Health. He was the original formulator of a simple herbal drug (777 oil) for the treatment of a complex skin disorder like Psoriasis that previously had no solution in any system of medicine in the world.